Today Senator Patty Murray and Congresswoman Rosa DeLauro reintroduced the Healthy Families Act, federal legislation that would allow workers to earn up to seven paid sick days. Twenty jurisdictions nationwide—three states and 17 cities—have adopted paid sick laws. That’s a four-fold increase since the Healthy Families Act was last introduced in March 2013. However, despite this substantial progress, nearly 43 million workers still don’t have access to paid sick days and more than one-third of U.S. states have never passed a single law recognizing the dual demands of work and family. The UFCW strongly supports passage of the Healthy Families Act. Rasmussen Reports released a national survey showing that only 35% of likely U.S. voters believe “right to work” laws are good for a state’s economy. That’s a ten point decrease from a similar study conducted in December 2012. “Right to work” laws are being pushed by corporate special interests who want to lower wages so that corporations can have even more profits and power. Last week, UFCW Local 1564 led a right to work training session for more than 100 New Mexico union members. At the training, members learned how much harm right to work would bring to workers in New Mexico. For the first time since 1952, New Mexico’s State House is controlled by Republicans. One of the State House’s priorities going into the 2015 legislative session is to dismantle the rights of workers and pass an unfair right to work law. 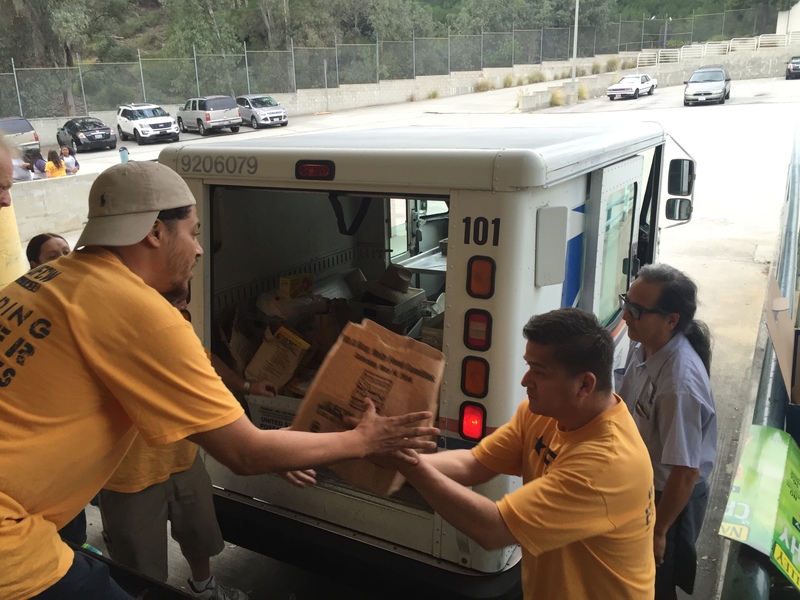 To some UFCW Local 1564 members, right to work was not new to them. Paul Bolton, a meat cutter at Smith’s in Albuquerque, recalled how much worse his job was when he worked in Texas, a right to work state. 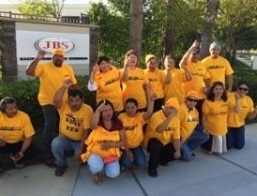 Workers left the training ready to stop right to work by lobbying their legislators at the Capitol in Santa Fe. 2015 brought a pay raise for millions of Americans as minimum wage increases go into effect across the country. Minimum wage workers in 21 states and the District of Columbia will see their pay rise. For the first time ever, a majority of U.S. states will have a minimum wage above the federal minimum. From supporting a ballot initiative in Arkansas to lobbying for the passage of legislation in Maryland, these wage hikes are happening in large part because of the hard work and dedication of UFCW members. UFCW members have championed a raise for workers because the current minimum wage has left too many families struggling to make ends meet. The federal minimum wage of $7.25 has seen its spending power fall by nearly one-third since its peak in 1968 – it fails to keep workers and their families out of poverty. In his 2014 State of the Union address, President Obama called on Congress to raise the minimum wage to a living wage of $10.10 and they failed to act. In 2015, UFCW members will be pushing the 114th Congress to follow the lead of 29 states and the nation’s capital and raise the minimum wage so that no worker is forced to live in poverty.